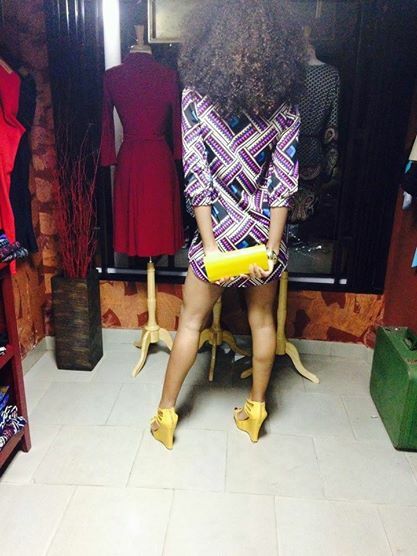 In part three of her six-part series, writer Starrene Rhett-Rocque goes shopping in Osu, one of Accra’s most fashionable districts. A born-and-bred New Yorker and avid shopper, Starr investigates the boutiques selling fabric, jewelry, t-shirts and crafts during her first-ever trip to Ghana. Osu is one of the liveliest neighborhoods in Accra. It is a 24-hour hub of activity that attracts locals and travelers from around the world, where visitors can find some of the best shopping, restaurants and nightlife in the city. Osu is comprised of main streets like Lokko Road, Danquah Circle and the very busy Cantonments Road, also known as Oxford Street (but not to be confused with London’s version). It became clear during my exploration of Osu that Oxford Street is an area that never sleeps. I saw vendors hawking a bit of everything, including knockoff Puma soccer jerseys and Rolexes. They can tell who isn’t local, so be prepared to be cat-called or followed for a few blocks by people aggressively trying to get you to make purchases. That latter is something that I never got used to. As a native New York City girl, I am used to the sensory overload that comes with city life but Osu is by far one of the most chaotic urban neighborhoods I have ever experienced. That can be good or bad depending on what you’re looking for, but shoppers and foodies who can endure the frenetic energy should definitely pay this place a visit. I am an avid shopper, especially when it comes to purchasing one-of-a-kind souvenirs, so I wanted to see what Osu had to offer. Street vendors are a given in Ghana, but one of my favorite things about Osu is that there are also many chic boutiques that offer a calmer shopping adventure. Here are five that you should explore. If you’re going to get t-shirts as souvenirs then Lokko 08 is the place to go for rare good quality men’s and women’s tees. Lokko 08 is a trendy brand on par with streetwear lines like Crooks n Castles and Hellz Bellz, but with West African flavor. The store is described as a “concept store” most likely because the concept of streetwear fashion, while popular in Tokyo, LA and New York, is just starting to catch on in Accra. Shirts include logo tees like “GH57” shirts in honor of Ghana’s establishment in 1957, “Ghana Man” comic-inspired tees, “Black Star” shirts, Azumah Nelson t-shirts and more. Lokko also produces and sells wax print purses and hats, but the main attraction in this minimalist space is the shirts, which retail for about 46 Cedis. 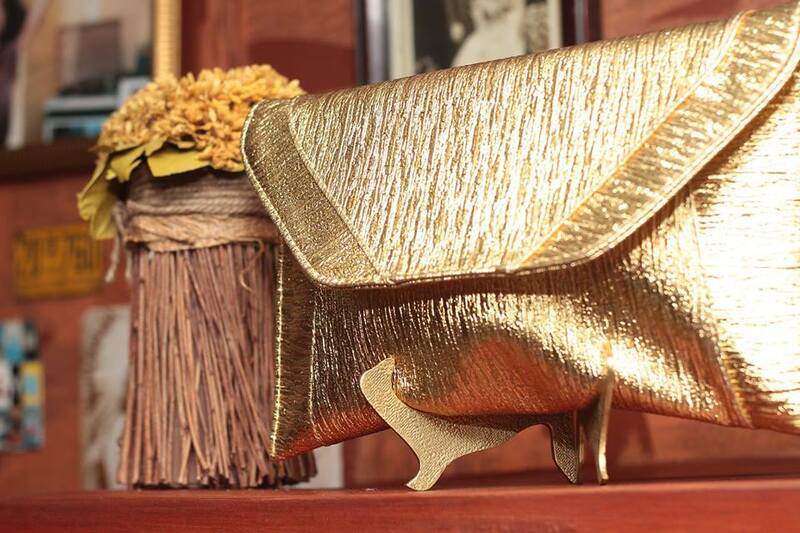 The Brown Sugar Boutique is one of the newer boutiques to hit the Osu scene, and it fits right in. The owner, Chiedza Makonnen, a flight attendant who splits her time between Accra, Brooklyn, and the rest of the world, is friendly, worldly and creative. The energy of Brown Sugar Boutique feels very 90s Brooklyn bohemian, but with a West African twist and a dash of 70s soul. The walls are decorated with glamorous old-school photos of Diana Ross and other artwork that matches the shop’s vibe. The main line of products hers is from Makonnen’s label, Afrodesiac Worldwide. I managed to score a beautiful African print dress and bronze bangles made out of melted pesewas (Ghanaian coins), both crafted by Makonnen. If I weren’t budgeting — prices here range from $20 to $100 and up depending on the item — I would have come home with much more. I made the aforementioned statement about my budget out loud while shopping, and Makonnen informed me that she often sells her wares at street festivals like AfroPunk and BAM DanceAfrica in New York City, at discounted prices. Fast forward two weeks later, I ran into Makonnen at AfroPunk in NYC selling more of her super-cute dresses and jumpsuits like she promised. In the event that you run into her at street festival and see something you like that is not available in your size, she can take your measurements and have your item made and shipped to you once she returns to Accra. As a jewelry lover, I was thrilled to find out that you can find some of the most beautiful beads in the world in Ghana. 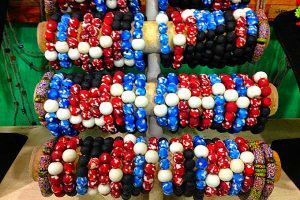 Many of those beads, made out of glass, are sold by vendors all over the country, either loose, or in the form of necklaces, bracelets and earrings. However the haggling process, as I mentioned before, can get stressful and overbearing after a while, so I was happy to stumble upon Inka jewelry. 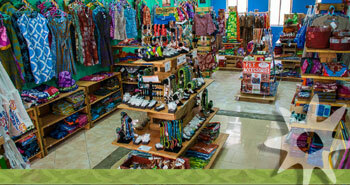 Inka is a small boutique owned by Irene Armah, who crafts lovely one-of-a-kind pieces. The prices are fixed and higher than what you would experience on the street, but if you have haggling anxiety then this is a good option. Also keep in mind that the street vendors sometimes sell mass-produced items, while Armah’s goods are unique. 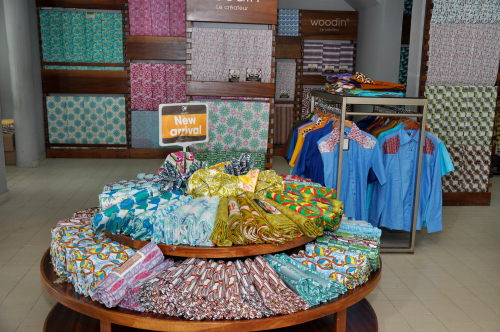 Woodin is one of a few stores in Ghana where you can purchase beautiful African fabric. The difference between fabric purchased here and fabric purchased from street vendors, according to some locals I encountered (including my guide), is quality. Woodin isn’t specific to Osu, because it’s one of the biggest chains in Ghana, but it one place out of all the stores of this nature that I visited in Osu that stood out to me the most. Woodin also sells clothing and has a staff of tailors who can make you a unique item with fabric that you purchase for an additional fee, which varies depending on what you want. I didn’t get anything made, but I had a hard time narrowing down my purchase, which ended up being three yards each of two different types of fabric. My first impression of the Global Mamas boutique was that it was cute, small and looked like any typical shop, but after further investigation I discovered that any purchase made here goes toward a significant cause—the financial, physical and emotional well-being of African women and their families. Global Mamas isn’t just a store — it’s a fair-trade brand that sells body products, jewelry, clothing and accessories handmade by women from various parts of Ghana. 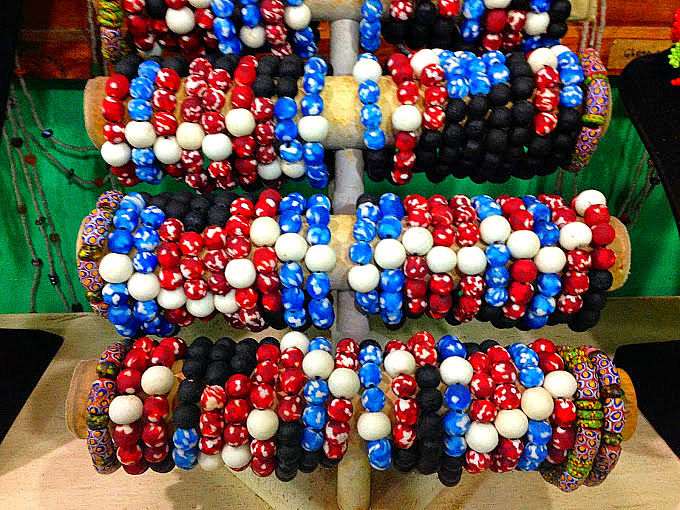 I browsed and fell in love with beautiful beaded bracelets, necklaces and clothing made for men, women and children. 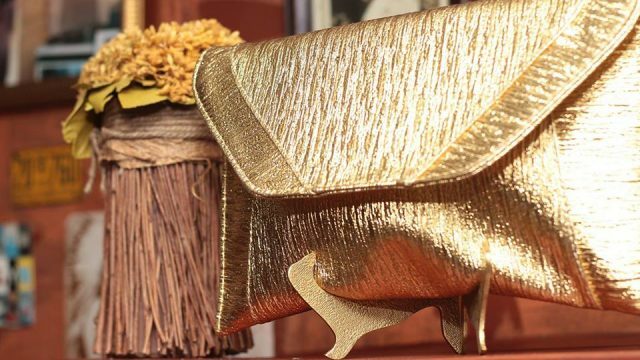 They also sell products from Trashy Bags, a popular Ghanaian brand known for turning trash into fashionable bags and wallets. The prices here are more expensive than what you would encounter at the street vendors, but the purchases are worth it. I ended up leaving with a necklace and two bracelets that totaled about $30. Global Mamas offers a variety of opportunities for volunteers, wholesalers and more. Starrene Rhett-Rocque is a New York City-based entertainment and lifestyle journalist. Her award-winning website, GangStarrGirl.com, focuses on women in hip-hop, pop-culture, beauty, travel and other lifestyle interests like pole dancing. Previously, she served as digital manager for JETmag.com, pop culture editor for VIBE.com, and has written for JET magazine, VIBE magazine, BET.com,The Grio and AllHipHop.com. She also worked as assistant editor at XXL magazine, web editor for Roc4Life.com, and as a production assistant for NYC TV on shows like Blueprint NYC and Eat Out New York.